The rarest wild cats in the world inhabit relatively small geographical ranges and are endangered due to human activities. 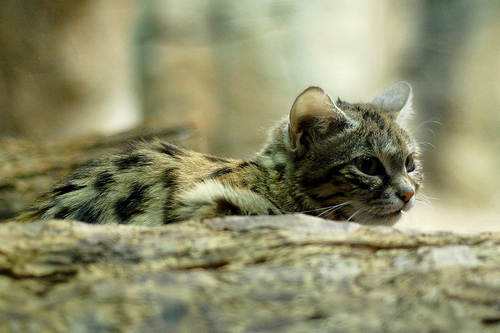 Rare and threatened cats include the Bay cat, the Iriomote Cat, the Rusty Spotted Cat, the Andean Mountain Cat, the Iberian Lynx, the Amur Leopard, the Scottish Wild Cat, the African Black-Footed cat, and the White Lion. Scientists first saw a Bay Cat live in 1992. Previously, this species was known only from museum specimens. One of the rarest of all wild cats in existence, the Bay Cat has chestnut-coloured fur with black markings and is similar in size to a large domestic cat. Bay Cats live only in rain forests on the island of Borneo. They have probably always been extremely rare due to their limited geographical range, and are now endangered as a result of deforestation and the illegal capture of individuals for the pet and fur markets. This little spotted and striped wild cat lives only on Iriomote, a small Japanese island. There are fewer than 250 in existence, though the Iriomote Cat’s close relative, the Leopard Cat, is more abundant throughout Asia. The Iriomote Cat is critically endangered due to habitat loss. Rusty Spotted Cats can be found only in Sri Lanka and India, where these tree-loving little felines have been seen pouncing down from branches to grab their prey. 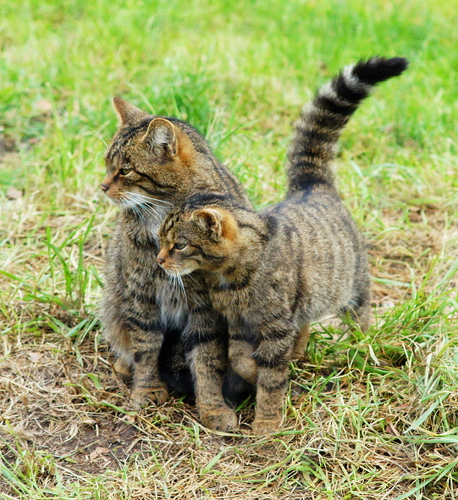 Rusty spotted cats, although not critically endangered, are considered a vulnerable species due to habitat loss. Individuals are also killed for the fur trade, food, or because they’re perceived as threats to small livestock. Their overall population is less than 10,000 and continuing to decline. The Andean Mountain Cat, a wild cat not much larger than the average housecat, lives only at very high elevations in the Andes mountains of South America. This cat has been observed just a few times by scientists in the wild and there are none in captivity. Listed as endangered on the IUCN Red List of Threatened Species, the Andean Mountain cat may have been more abundant in the past, until its habitat was eroded by development and its prey of choice, the chinchilla, fell victim to the fur trade. Andean mountain cats are also persecuted as livestock pests; hunted for food, traditional medicine, and ceremonial purposes; and killed by local shepherds’ dogs. Today, there are likely fewer than 2,500 mature individuals and this population continues to decline. The Iberian Lynx, a medium-sized, spotted wild cat with tufted ears that lives on the Iberian peninsula of Southern Europe, was once far more abundant, but this cat is now on the brink of extinction due to human activities. Specific threats include hunting, poaching, cars, decimation of rabbit populations by hunting and viruses, and habitat destruction. The total Iberian Lynx population was previously estimated at around 100, though a new group was discovered in 2007, raising the numbers slightly. 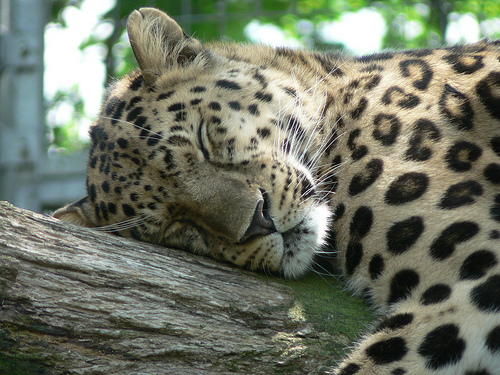 The Amur Leopard is a rare and critically endangered subspecies, with just 20-21 adults and a handful of cubs found during the 2003 census in Russia, and the population continues to decline. Amur leopards are already extinct in the Korean Peninsula and China. A subspecies of Felis silvestris, also known as “The Tiger of the Highlands,” the Scottish Wild Cat is critically endangered, with a recent population estimate of less than 400. The African Black-Footed Cat is a tiny, spotted feline that can take down prey much larger than itself and capture birds in mid-flight. This cat is listed as vulnerable due to habitat degradation and persecution by farmers. Extinct in the wild, a few White Lions continue to live on a South African Nature Reserve and at various zoos. While not currently classified as a subspecies of Panthera leo, the Global White Lion Protection Trust is working to win this classification so that White Lions can be officially listed as critically endangered and thus receive the protections associated with this designation. For more wild cat articles, see the main Big Cats and Small Wild Cats page.